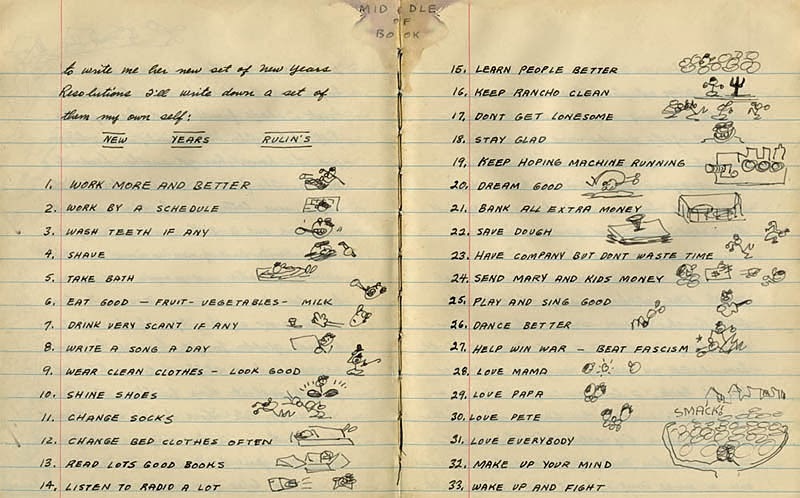 To continue the resolution talk, here are Woody Guthrie's from 1942. He was 30. A few favorites are wash teeth if any, don't get lonesome, keep rancho clean, and stay glad.